Thanksgiving is right around the corner, but so is another holiday event that’s become a tradition for many families. That’s right we’re talking about Black Friday. Over the last decade, Black Friday has ballooned into a multi-day event that can actually begin on Thanksgiving and lasts until the following Cyber Monday. It’s an opportunity to save on popular holiday gifts, but it’s also a time when homeowners can take advantage of great deals. Some online vendors, such as Overstock.com, are already giving shoppers a sneak peek at Black Friday deals for the home. 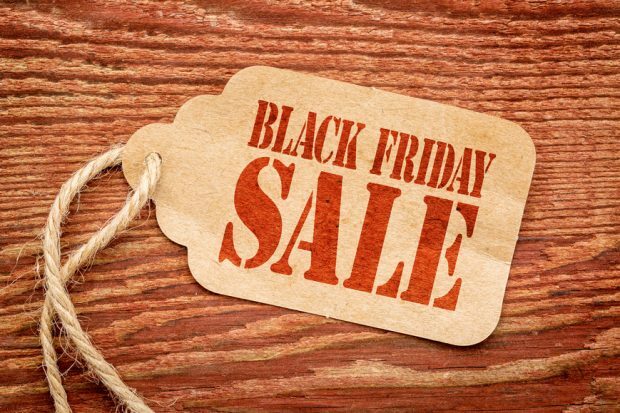 Give yourself a little something this holiday with Black Friday deals on home improvement and décor items. If there’s one main thing keeping Best Buy locations in business it’s Black Friday. The electronic store is well known for its Black Friday events, which include major door busters on high-end devices for the home. You can also find specials on appliances and products for your entertainment system. Mid-winter may not be the ideal time for a patio makeover, but you can find some of the best barbecue and outdoor furniture deals of the year at Home Depot during during Black Friday. There are two places in the home that Sears covers during Black Friday. Based on the early ads, you’ll be able to find great deals on items for the garage and bedroom. Anyone who needs a new mattress will really be pleased with Sears’ selection, which includes name brand items that are up to 60% off. Everyday low prices is the motto for Walmart, but during Black Friday they take it to a whole new level. You can find discounted items for every room in the home. There are definitely going to be a lot of great deals on small appliances and televisions. However, based on past years you should plan for extremely long lines and battling crowds. Target and Kohl’s are two other big box stores that will be offering amazing prices on in-demand small appliances. These are the places to be if you need items for the kitchen like a Keurig coffee machine. If you prefer to do your Black Friday shopping online, then there’s no better place to visit than Amazon.com. During the holiday shopping season Amazon runs hundreds of sales including daily specials and lightening deals that only last an hour or so. That means you’ll have to keep an eye on what’s coming up if you want to get a deal before it’s gone. What if you need tools before you can begin a home improvement project? Then head on down to Harbor Freight on November 25th. That Friday through Sunday they’ll be offering a variety of tools at a deep discount. At Square Cow Movers we always offer great prices on our high-quality moving services. From our reliable team of moving bovines to our super-sized trucks to our professional packing services you get a great value year round.